What is The Tagaytay Midlands Golf Club? 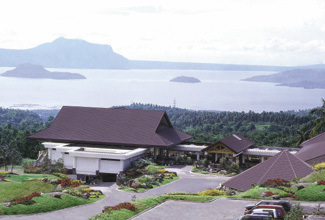 Tagaytay Midlands Golf Club boasts of a championship golf course with a picture-perfect view of the Taal Lake and volcano. A Midlands Golf Club membership affords its members the use of the Country Club facilities, special priveleges at our affiliate clubs abroad, exclusive purchase rights for the Highlands homes and The Spa and Lodge.